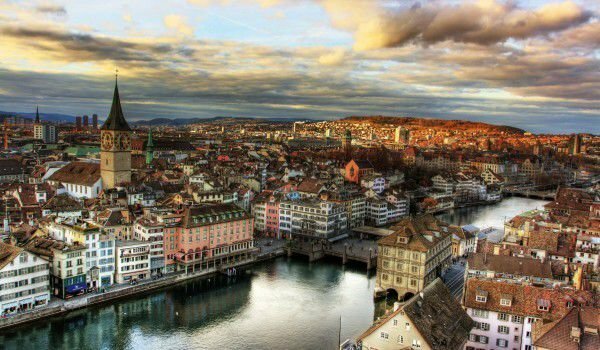 Zurich is the city of the world-famous chocolate factory Lindt, Zurich is the number one center of offshore banking in the world. Today Zurich is the successor of nearly 7000 years of history of this region in Switzerland. Zurich is the largest city in the country, it is its cultural, financial, industrial, transportation capital, and there is the largest Swiss airport. Geographically speaking Zurich is situated in the eastern part of Switzerland, at the bottom of Lake Zurich, which is one of the most attractive sights of the city. The whole town is small, having a total area of 92 sq km. Zurich is home to approximately 400, 000 people throughout the conurbation but the population is over 2 million inhabitants. The city is the administrative center of the canton of Zurich. It is famous for th high standard of living that the city provides its citizens. In recent years Zurich has been named the city with the highest quality of life, and the richest city of the Old Continent. Zurich is a leading financial center in the world, there are the offices of many financial institutions and banking giants. Attractive to many foreign companies is the low tax rate, which is why almost all foreign concerns have headquarters in Zurich. It is believed that the name of the town probably derives from the Celtic word "turus". A certificate wthat was found in the tomb had the same inscription from the time of the Roman rule in the second century. The Romans called the city Turicum, a local dialect of the town was known simply as Zurich. All Zurich is surrounded by very beautiful nature, composed of lakes and wooded hills. The largest city in Switzerland stands exactly at the end of the River Limmat of Lake Zurich. In connection with its ancient Roman city Turicum emerged as a commercial center, which provides control over the river. Among the main sights of Zurich is a chocolate factory Lindt, which is located just 5 kilometers from the city center - in the town Kilchberg. Today, almost anyone who decides to visit Zurich, can not get away without a tour of the chocolate shop corporate group, where you can indulge in kilograms of sweets and it's quite affordable. The geographical and historical center ofthe town is Lindenhof, which is a small natural hill on the west bank of the river Lima, located about 700 meters north of where the river is separated from the Zurich Lake. The largest historic landmark in Zurich remains the beautiful cathedral, Grossmünster, which is located in the Old Town, near the river flow. The original building there was built back in 820 years, and today the tourists in the city have the opportunity to climb to its highest point to enjoy the magnificent views of the city and suburbs. Another historic building is Fraumünster. Built in 874 years, this church is the oldest in Zurich and in the Middle Ages it continuously competed for prestige with Grossmünster. In the church Fraumünster can see great works of art. Another interesting church is St. Peterskirche, which with its huge clock on the facade is considered unique worldwide. 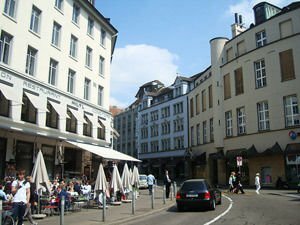 In addition, in Zurich you can visit an impressive number of museums and art galleries, including the Swiss National Museum and Gallery Kunsthaus.